Valorem foundation is a decentralised P2P (peer-to-peer) platform for multi-party transactions across multiple industries. Valorem is a decentralized platform based on blockchain technology and smart contracts which allows users to participate in a global marketplace that can support the ability for buying, selling, investing, or exchange of ERC-20 tokens called VLR. 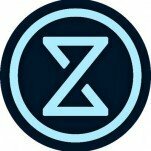 All transactions will be verified and stored on the blockchain via the Zero Coin Protocol. Valorem developed a platform to be used by people all over the world by providing them with the following services: student/car loans, microloans, business investment, P2P networks, buying/selling of goods and services, crowdfunding, charity. 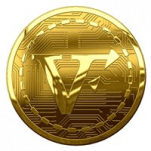 Valorem will enable their users to use their cryptocurrency for any kind of transaction or action they could do if they were using fiat money. Technically the main purpose of Valorem foundation is to change or replace any of the existing centralized networks and services and move them to a decentralized ecosystem. Valorem uses a reserve banking algo to funnel investments and money to specific high ranking profiles. ? Valorem team plans to create an ecosystem where users, vendors, product and service providers of all kinds will be able to unite and everyone will receive their benefits. In turn, Valorem platform will receive a small amount of commissions from each transaction. These fees will feed the future development of this ecosystem.